In this stock photo, black and white Holstein dairy cows are in their stalls in Penn State's research barn. At least 26 dairy farms in Lancaster and Lebanon county received a termination notice from their distributor, Dean Foods, last month. The state Department of Agriculture estimated 16 more dairy farms in and around Mercer county are being affected as well. Dean Foods is not providing specific numbers of farms it is ending contracts with, but said a little over 100 farms in eight states were notified of termination on February 26th. Given a three month timeframe, farmers are scrambling to decide what to do with their businesses. Alisha Risser and her husband own a dairy farm in Southern Lebanon county. Since receiving the notice from Dean Foods, Risser said they have reached out to eight different distributors, but none are looking for additional milk sources. The Rissers are holding out hope, but without a new market, they plan to sell their 80 cows. Risser has been in the dairy industry for 17 years. She said some of the farms receiving termination notices have existed for generations. State Secretary of Agriculture Russell Redding sent a letter to Dean Foods on Tuesday, asking the company to extend the deadline to the end of this year — a move pushed for by Risser and other farmers. Dean Foods says it received the letter, but has no comment to the request. Citing factors such as decreasing consumption in fluid milk and heavy competition in the industry, Dean Foods said in a statement that the termination is “an incredibly difficult” decision. 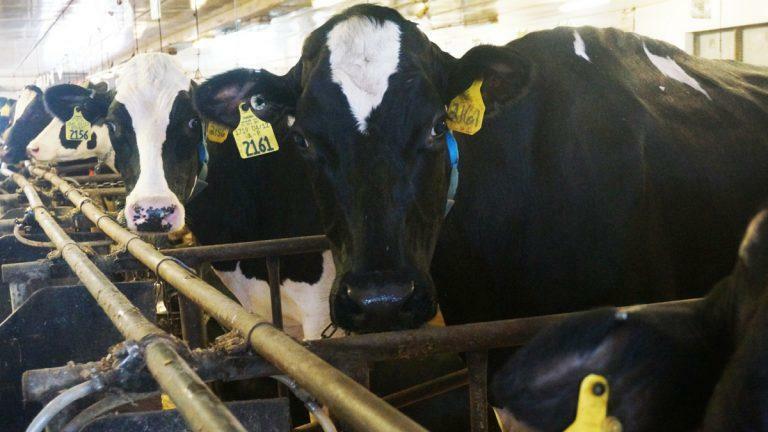 Pennsylvania has the second most dairy farms in the country. According to the Center for Dairy Excellence, the 6,650 dairy farms located in Pennsylvania represent about 16 percent of all dairy farms in the U.S. But that number has been dwindling. In 2016, the state lost 120 dairy farms. Although the dairy industry in the northeastern U.S. is growing, the fact that Walmart has a new milk processing plant in Indiana has contributed to some Pennsylvania farmer’s woes. Secretary Redding said the department is working to recruit new dairy processing plants to open or relocate to Pennsylvania. He pointed to a study released in January that analyzes potential benefits of new plants, and said additional investments could bring opportunities to the dairy industry. Susan Buda works at the Park Forest preschool and lives in the adjoining Park Forest neighborhood in the State College area. On most days, she bikes to work. But Buda said she is wary a development plan would change the neighborhood.